Item i00144 - Flooding on the Red River towards St. Boniface. Flooding on the Red River towards St. Boniface. 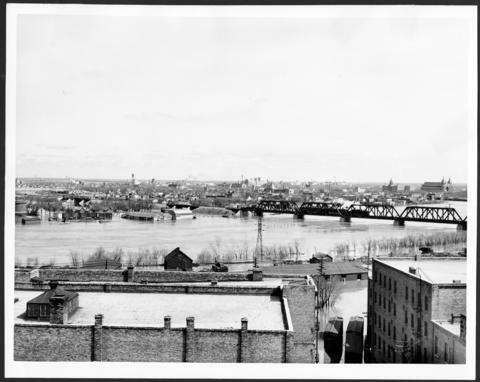 A photograph of the flooded Red River during the 1950 flood in Winnipeg. The photograph is taken looking toward St. Boniface.